First, a gallery of images, to put names with faces, so to speak. Then, a short tutorial on hooking them up. 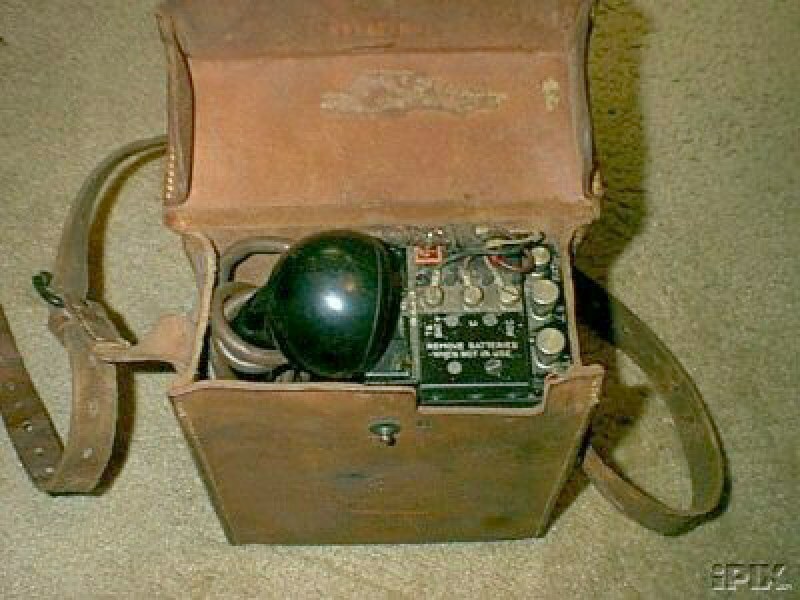 EE-8 and EE-8B: Rugged field phones, use two "D" cells each, crank to ring other phone. Replaced by, and usable with TA-312 phones. These usually come with the leather case. 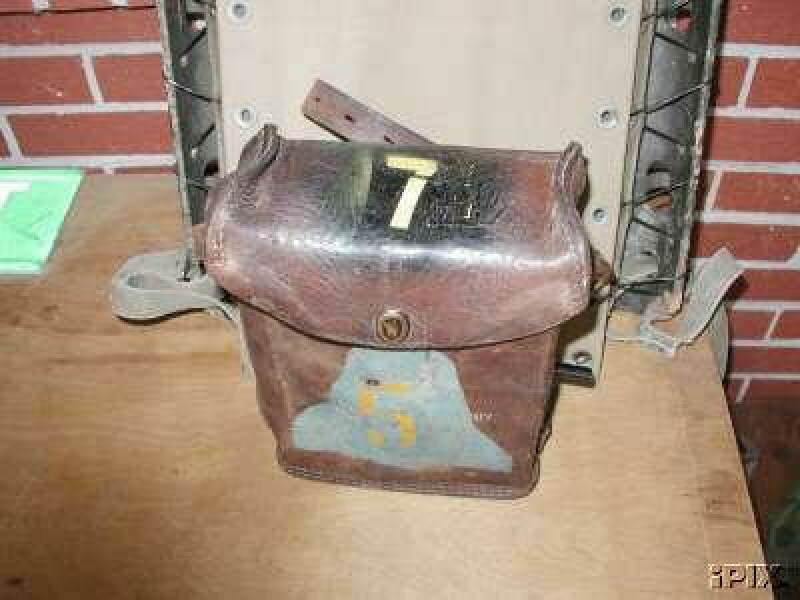 The "non-B" model's case is usually not as square-ish as the later "-B" model. SB-22 Manual Telephone Switchboard: This is a light weight, local battery, field-type switchboard that can be installed rapidly to provide facilities for interconnecting 12 circuits. 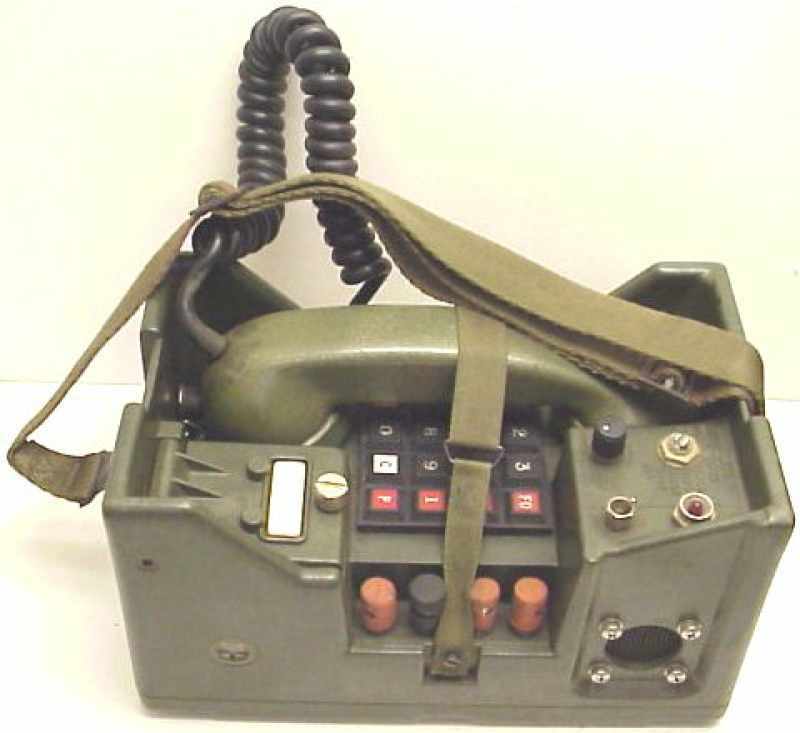 The SB-22 is used to interconnect local battery telephone circuits, remote controlled radio circuits, and voice-frequency teletypewriter circuits. Normally comes with cover and metal case, but some have a composite plastic case. Works with EE-8 and TA-312 phones. SB-993/GT MANUAL SWITCHBOARD: Designed for quick connection and takedown of up to six battery or sound powered field phones (such as EE-8, TA-1, TA-43, TA-312), plus an operator unit. 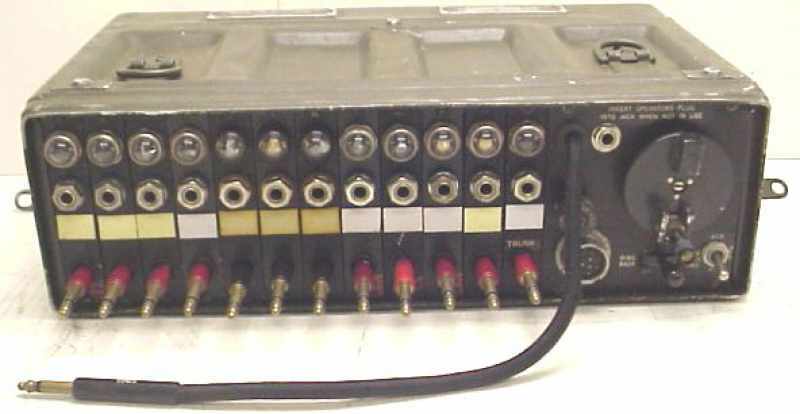 Consists of seven U-184/G terminal plug-jacks that plug into (stack onto) the rear of another U-184. Active lines make neon lamp in U-184 glow as an indicator. Also should include MT-2156/GT metal case. 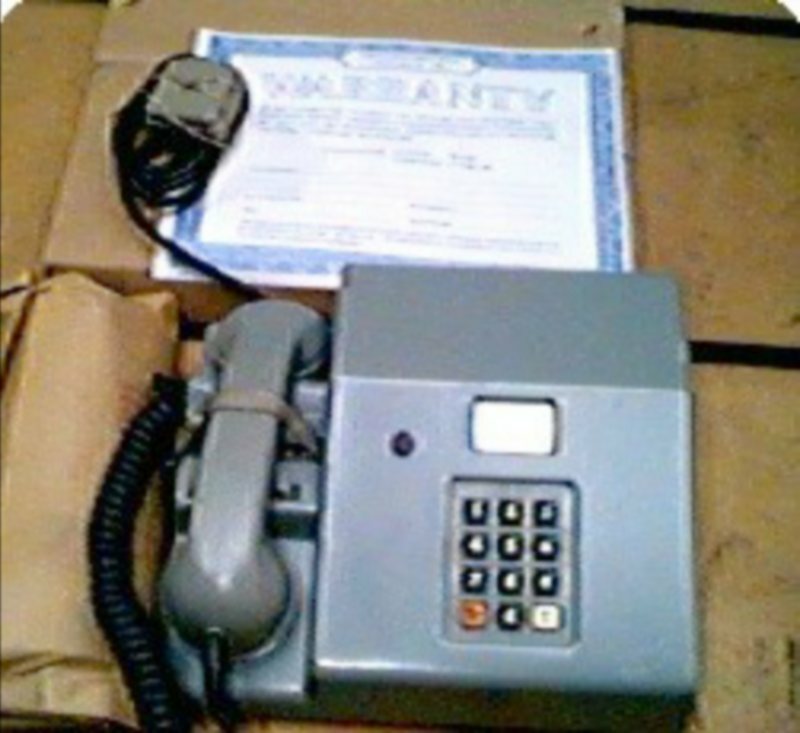 1.3x12x3"
TA-1/PT TELEPHONE: Sound-powered unit requires 2-conductor field phone wire connected to another TA-1 for communication without batteries. Palm-operated generator provides approx 100 V to buzz- signal another phone, and the hanset also contains a visual indicator. Rubber coil cord with push terminals for wire hook-up. 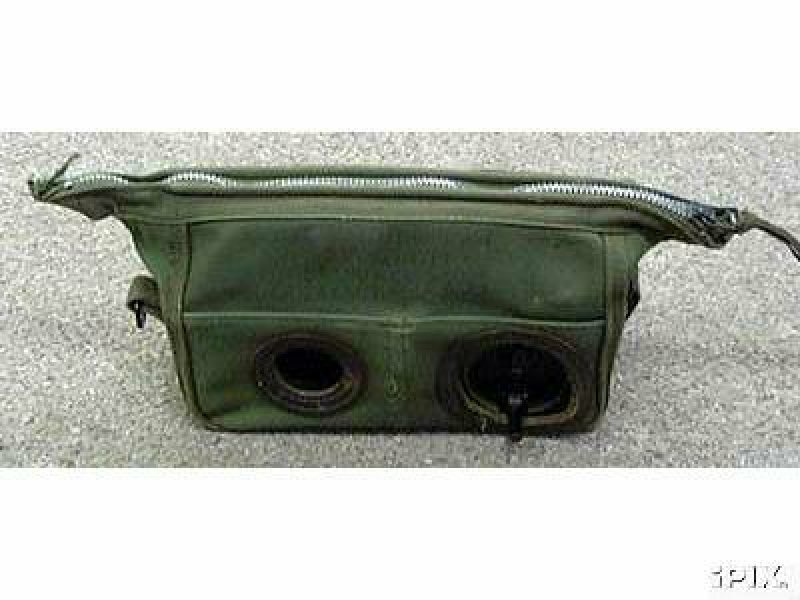 Shown with plastic carrying case. 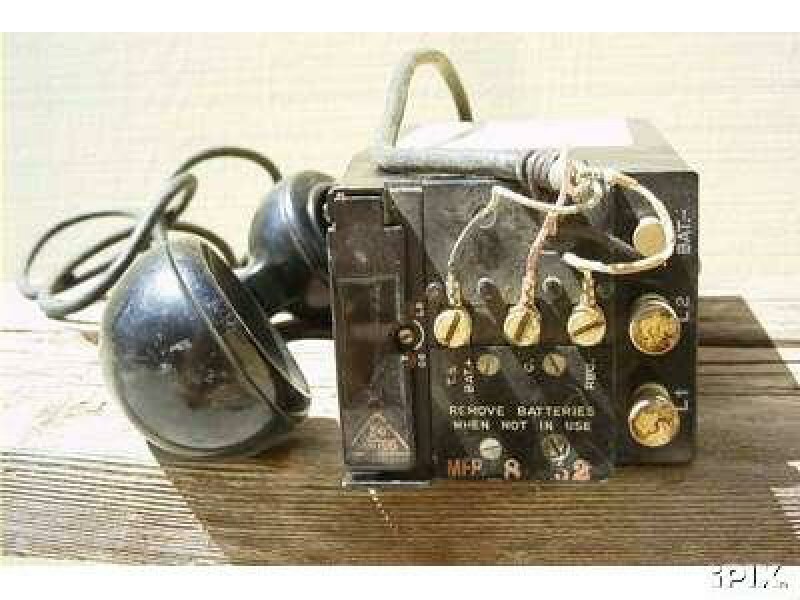 8.5x3.5x3.5"
TA-312 FIELD TELEPHONE: Rugged light-weight unit replaces famous EE-8 field phone and is usable with them. 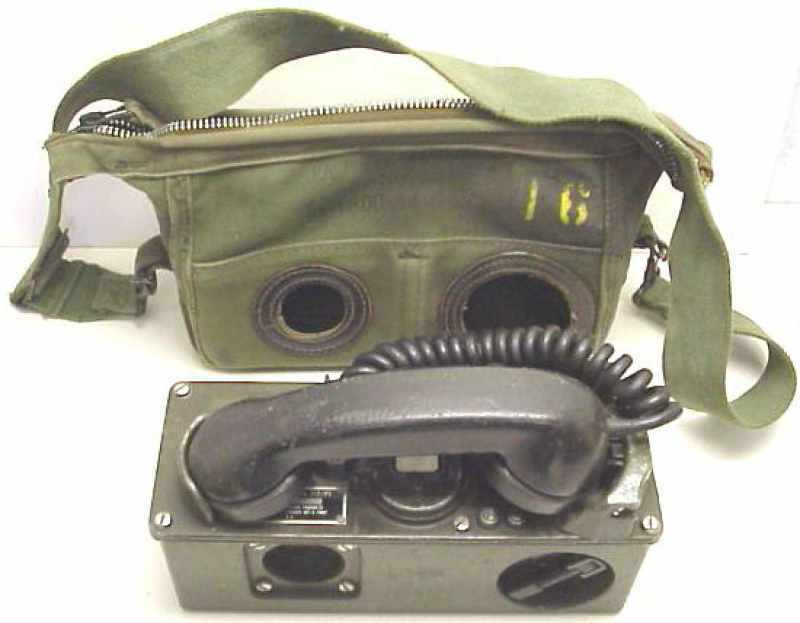 Full set includes G-42 crank generator, BZ3 clacker call signaler, H-60 handset, and canvas carrying bag w/ strap. Requires 2 D-cell batteries. 12x7x4"
TA-341/TT and TA-341B/U TELEPHONE SET: Pushbutton 4-wire unit designed for use with tactical switches, uses four C-cell batteries. Usable in conventional point-to-point telephone line (plug may need changed) Range >3.2 km. Signal out 900-3400 Hz with DTMF digital tone, 90 V 20 Hz ringing signal in. Should come with case not pictured. 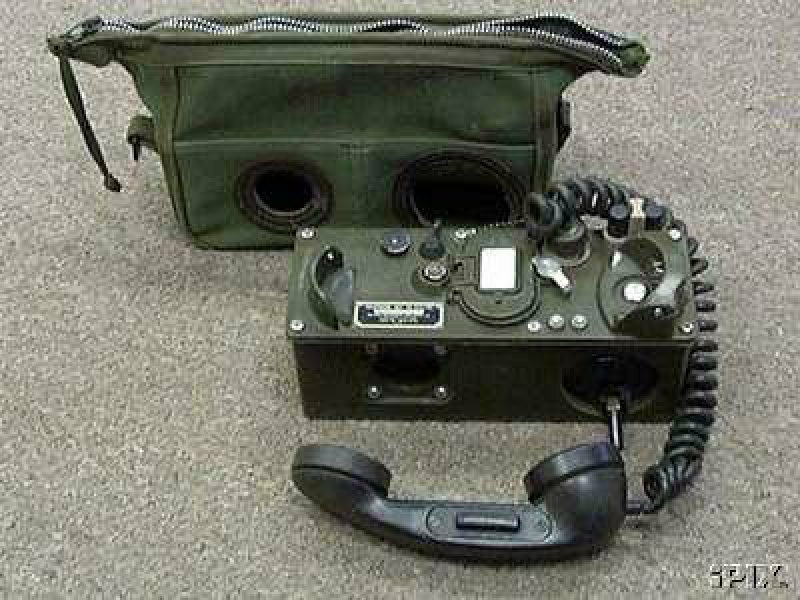 4.5x10.5x10.5"
TA-838/PT MILITARY FIELD TELEPHONE: Includes push-button numeric tone pad and is designed for 2- or 4-wire communications; replaces old EE-8 and TA-43/312 field phones. Ringing signal audible only in 4-wire hook-up. TA-838 also operates over standard telephone lines. Standard telephone lines connect to the "TX" posts. Rugged thermoplastic construction. 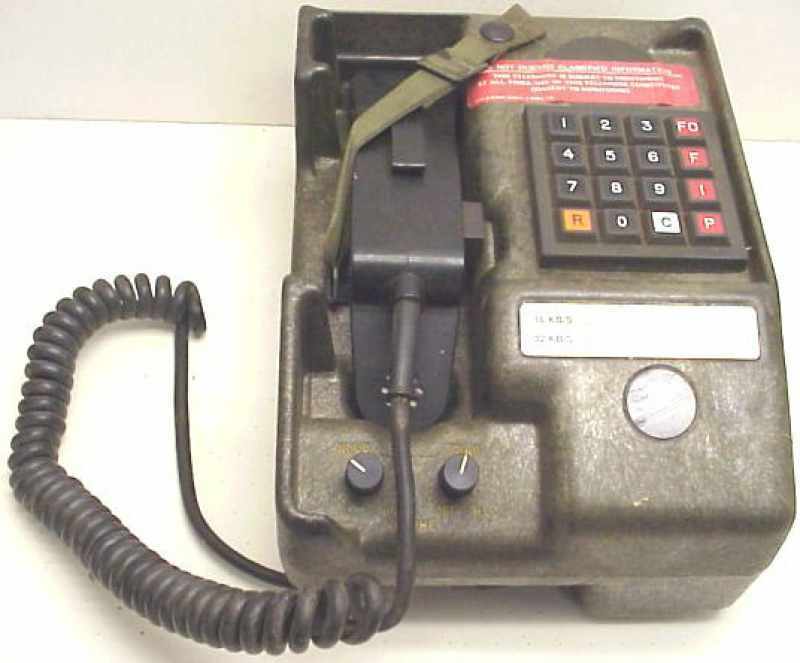 Requires four C-cell batteries for phone-to-phone use, or runs off standard telephone jack or with tactical switch. 6x9.8x5"
TA-954/TT NON-SECURE DIGITAL VOICE TERMINAL: Used in Tri-Tac comm-system: 4-wire set xmits and receives diphase-modulated digital voice and loop signaling info at 16K or 32K bits. 125 ohm line impedance 125 ohms; range 4 km using WF-16 field wire or likely CAT3 or CAT5 will do. 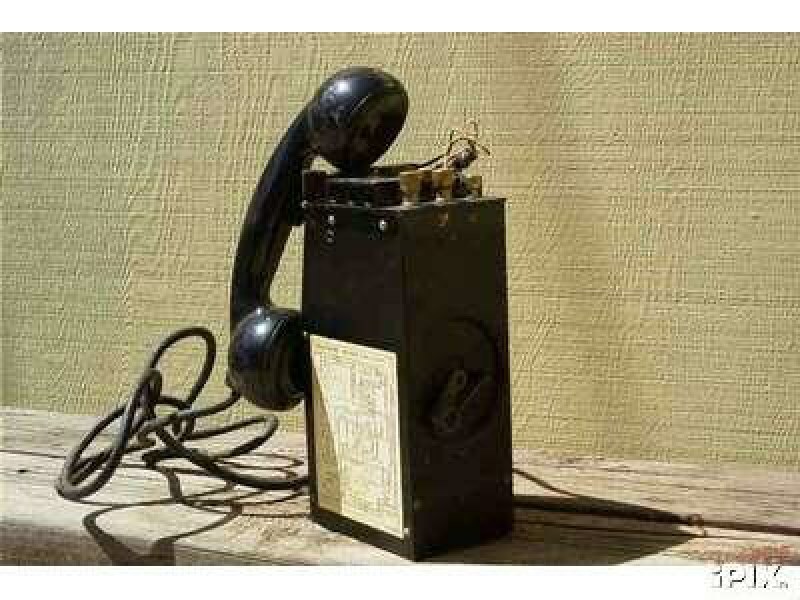 Requires 24-56 VDC, Tone pad has characters 0-9, FO-F-I-P-R-O-C, Controls are Volume, Ring, and button on H-250 handset. Plastic case is EMI/EMC static protected. 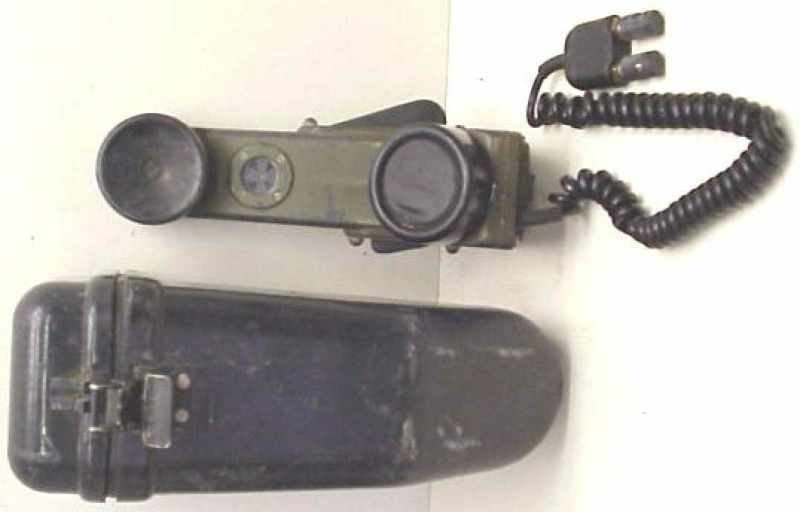 7.3x4.5x10"
TS-10 Handset. Essentially a 2-wire handset which can be used as part of an intercom or a phone handset extension. 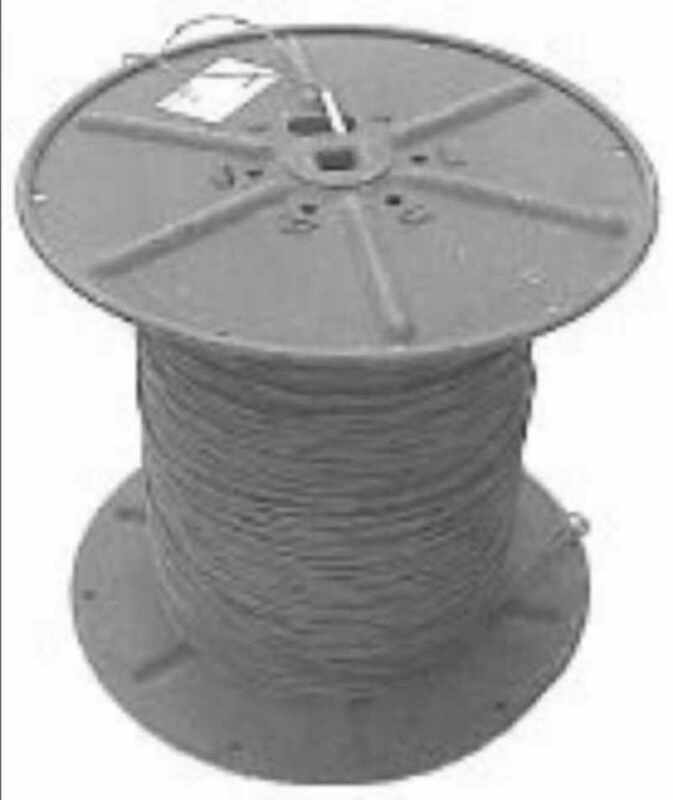 WF-16/U Four Conductor Stranded Field Phone Wire: shown on a DR-5 reel. nominal length is 5280 feet. Two pairs of what looks like small lamp cord or speaker wire which are twisted together. One pair is brown and the other is green. 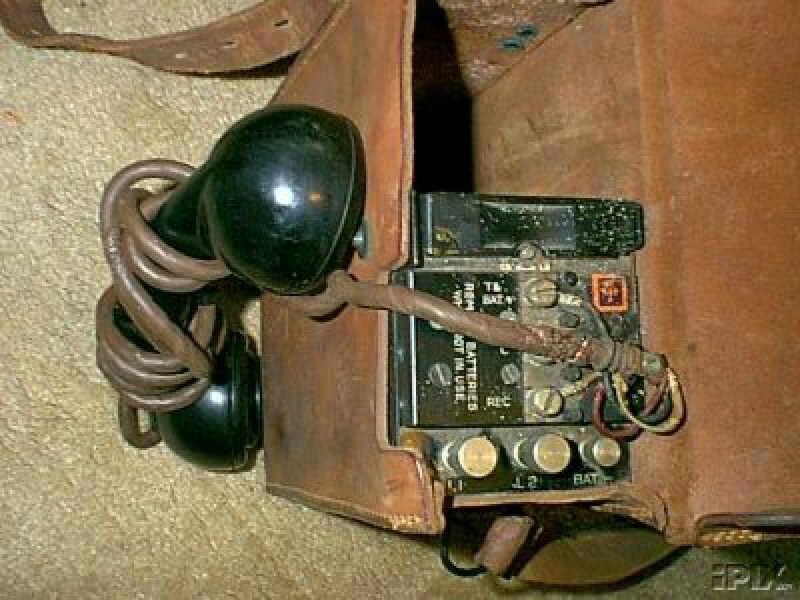 use for 4-wire field phones. Reel size is 19.3" dia. x 17.7" ht, and heavy. This is a 2-person lift. It's really easy. Phones muse be of the same general kind. There are three kinds which are commonly found on the surplus market. You must have two phones of the same kind to communcate. 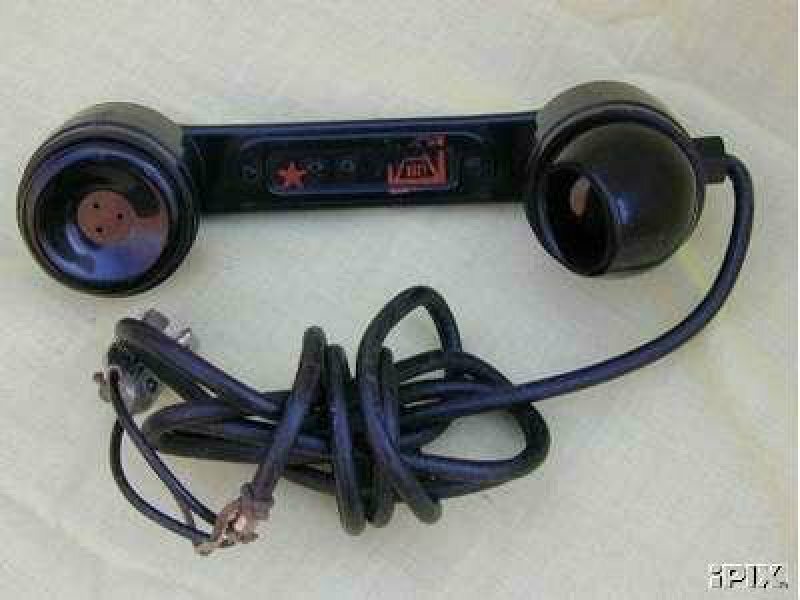 Two-wire analog phones are generally compatible with other two-wire phones. The user merely connects them together with a 2-conductor wire, which can be actual field wire, or anything from speaker wire, lamp cord to CAT5 computer wire, or regular old telephone wire. "2-conductor" means that the cable has two wires in it, which are insulated from each other. Polarity of the wires is not important. The phones have a switch on them for the kind of hookup. The easiest way to set them up is to set the switch to the "local battery" or "LB" position. In this position, each phone will use its own batteries. Lift the handset and crank the handle. 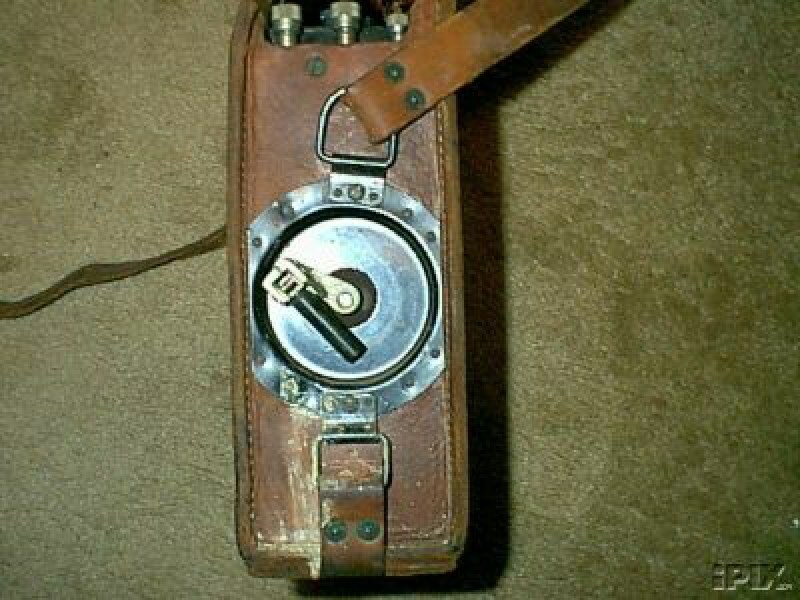 The other phone will 'clack' or ring as long as you crank. When the other phone is answered, the operators may speak. For 4-wire analog phones, two pairs of wire are needed. 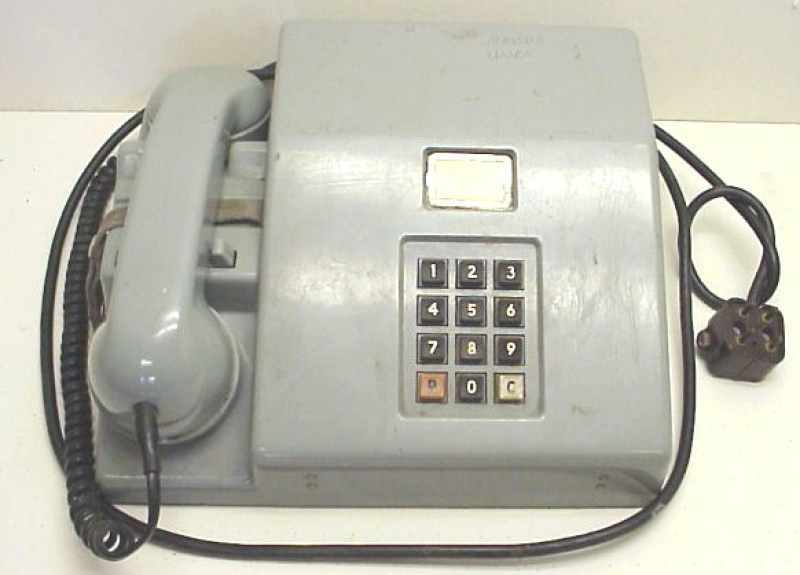 Four-wire phones are generally compatible with other four-wire phones. The user merely connects them together with a 4-conductor wire, which can be actual field wire, or CAT5 computer wire, or regular old telephone wire. "4-conductor" means that the cable has two wires in it, which are insulated from each other. Connect the "TX" terminals of phone #1 to the "RX" terminals of phone #2. Connect the "TX" terminals of phone #2 to the "RX" terminals of phone #1. Polarity of the wires is not important. The phones have a switch on them for the kind of hookup. The easiest way to set them up is to set the switch to the "local battery" or "LB" position. In this position, each phone will use its own batteries. Lift the handset. The other phone will ring. When the other phone is answered, the operators may speak. For 4-wire digital phones, two pairs of wire are needed. Four-wire phones are generally compatible with other four-wire phones. The user merely connects them together with a 4-conductor wire, which can be actual field wire, or CAT5 computer wire, or regular old telephone wire. Polarity of the wires is not important. The phones have a switch on them for the kind of hookup. The easiest way to set them up is to set the switch to the "local battery" or "LB" position. In this position, each phone will use its own batteries or in some cases a power supply. If the remote phone requires an external power supply, and you have power locally, just use a 6-wire cable, or CAT5 computer cable which has 8 wires. The digital phones have baud rate settings. supposedly, the higher the setting, the better the quality. Lower baud rates are more reliable. both phones must be set to the same baud rate. Common baud rates are 16KbpS and 32KbpS. These are often merely labeled "16" or "32". Sometimes the battery switch is incorporated into the baud rate switch, adding more positions. Set the phone to 16LB for example, for 16 Kb operation. Digital phones sometimes have unusual power requirements. Some take batteries. Some take up to 56VDC. Be sure to use the correct power supply and polarity with respect to power!